GAINESVILLE, Fla. – Growing up, Christine Krebs enjoyed being in an academic environment. She looked forward to school and the excitement of learning new information. Knowing that no one in her family had attended college before, Krebs held the achievement of college graduation to be a personal goal of hers. On Dec. 14, Krebs will deliver the student address at the UF/IFAS College of Agricultural and Life Sciences (CALS) student recognition ceremony at 7:30 p.m. in the Exactech Arena at the Stephen C. O’Connell Center. The ceremony is part of the University of Florida’s commencement weekend. A wildlife ecology and conservation major, Krebs will join nearly 400 CALS students who will be graduating with their bachelor’s and master’s degrees. While her parents were supportive of her college goals, Krebs said they were not familiar with the admissions process. The Clermont, Fla., native leaned heavily on her middle school and high school teachers who served as her mentors. She credits Leslie Noble, a faculty member at East Ridge High School, with coaching her through her college applications. Krebs had not visited UF prior to submitting her application. She had attended a Gator football game a few years earlier with her current roommate. She remembered sitting in the stadium envisioning herself at the university. 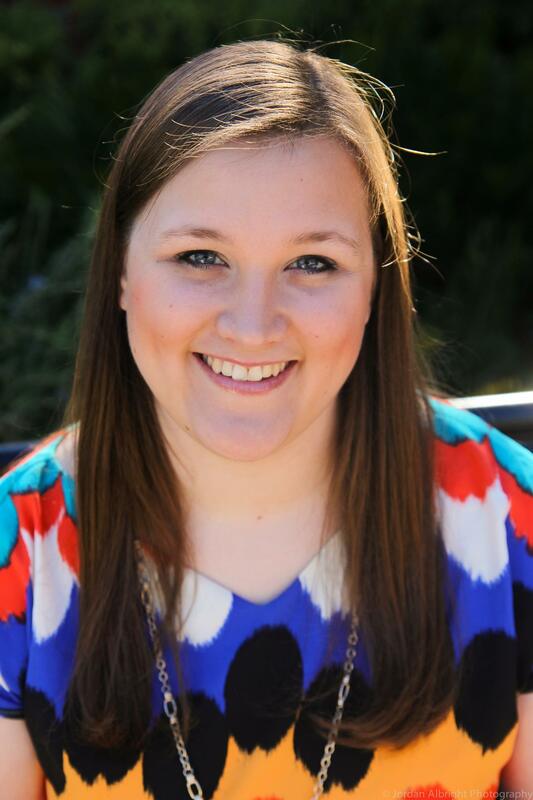 When she finally received her acceptance letter to UF, she knew the cost would be a concern. At UF, Krebs said she was given pride in her identity as a first-generation college student. This gave her the inspiration to explore different majors, career paths and all that UF had to offer. If Krebs had to describe college in one word, it would be serendipity. “You plan for one thing and then a really great opportunity comes by that you can’t pass up,” Krebs said. Classes at UF can be some of those opportune moments. Krebs’ career trajectory altered after taking the Wildlife of Florida course taught by Steve Johnson, a UF/IFAS associate professor in the wildlife ecology and conservation department. The way Johnson taught the material in a hands-on manner hooked Krebs. 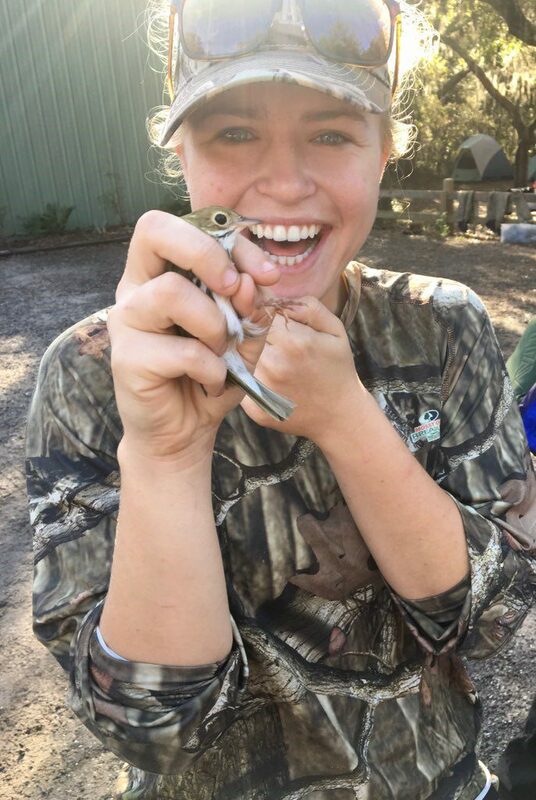 Christine Krebs shows how to properly capture a bird for study in a wildlife ecology and conservation course at UF. Krebs embraced her new major. Each class she took in the department provided her with valuable lessons learned through camping trips, swimming with manatees, networking with graduate students, and many more outdoor adventures. As an ambassador for the college, one of Krebs’ favorite responsibilities involved visiting elementary and middle schools with wildlife specimens from Johnson’s office as she shared what it was like to be a wildlife ecology and conservation student at UF. 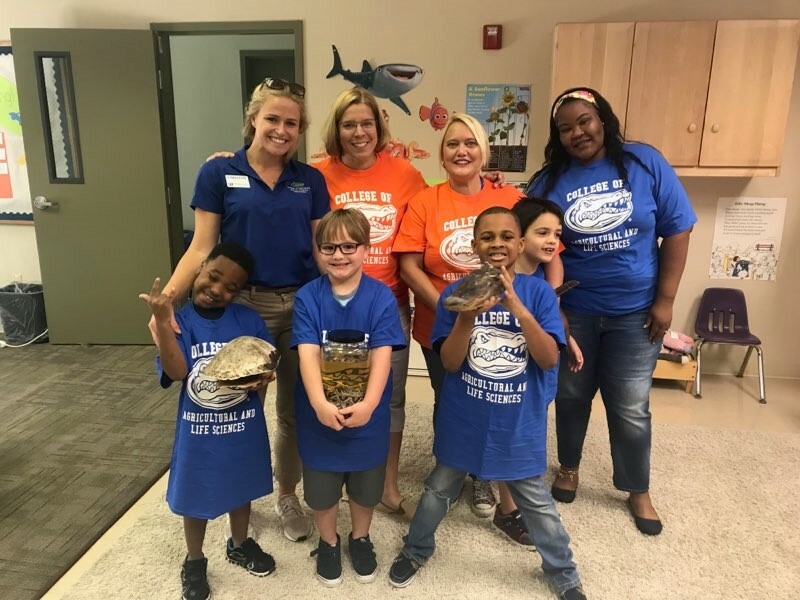 Christine Krebs (top row, first on left) visits a Florida elementary school to teach about wildlife specimens and careers in the natural resources. Krebs’ knack for teaching began after she completed the First-Year Florida course during her freshman year at UF. She became a First-Year Florida peer leader, which provided her the opportunity to learn how to teach a college class. Once she began co-teaching, Krebs began to notice the transfer students in her wildlife ecology and conservation classes mention how overwhelmed they were transitioning to UF academically and socially. She saw an opportunity to put her First-Year Florida skills to use and pitched the idea of offering a transfer student version of the program to Charlotte Emerson, director of student development and recruitment in CALS. The CALS course was offered for the first time this fall. After graduation, Krebs will begin her master’s degree in agricultural education and communication at UF in January. She plans to combine her knowledge of wildlife and the environment with communications skills. Ultimately, Krebs hopes to find her niche in conservation, and a career that will influence and inspire others to start their own life journeys.